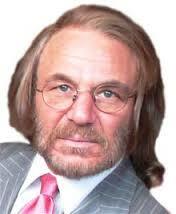 I have been the personal physician of Mr. Donald J. Trump since 1980. His previous physician was my father, Dr. Jacob Bornstein. Over the past 39 years, I am pleased to report that Mr. Trump has had no significant medical problems. Mr. Trump has had a recent complete examination that showed only positive results. Actually, his blood pressure, 110/65, and his laboratory test results were astonishingly excellent. Over the past twelve months, he has lost at least fifteen pounds. Mr. Trump takes 81 mg of aspirin daily and a low dose of statin. His PSA test score is 0.15 (very low). His physical strength and stamina are extraordinary. Mr. Trump has suffered no form of cancer, has never had a hip, knee, or shoulder replacement or any other orthopedic surgery. His only surgery was an appendectomy at age ten. His cardiovascular status is excellent. He has no history of ever using alcohol or tobacco products. I recently examined Mr. Donald J. Trump aka The Donald at his personal penthouse asylum suite in the Trump Tower, Upper Manhattan, New York. To tell the truth he is completely insane. At best Trump is a very dangerous psychopath. He suffers from all sorts of mental disorders and complexes, significantly Munchausen Syndrome By Proxy, severe pseudologia fantastica (compulsive pathological lying, in particular as concerns the amount of his personal net wealth), hysteria and narcissistic personality disorder (watchword: hair). The man is a distressed, short-tempered, asocial, psychotic extrovert who is prone to severe uncontrollable disturbances and crotchety, quarrelsome, behavior. His language is, therefore, observably provocative, controversial, hyperbolic and shamelessly offensive. He waffles and vociferates. Should he ever become US president, all I can say is: God help him, America and the entire world, for that matter!